See the fun and excitement of MONSTER BASH 2012! It’ the premiere classic monster conference in the United States every year. 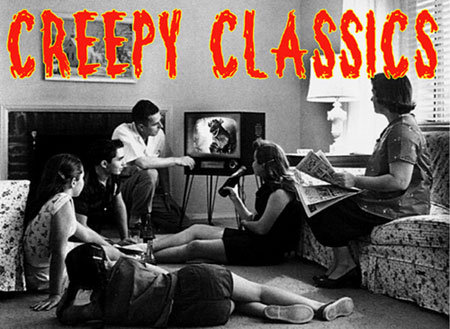 Interviews with Arch Hall Jr., Richard Kiel, Bert I. Gordon, Martine Beswick, Julie Adams, Ricou Browning and more. Cleveburg presents the Bash with a nutty wrap-around story involving “Eegad” the lost caveman in search of a mate. Loads of fun from Cleveburg with Perry Edelbergs and Tom Britton (playing multiple roles). Featuring Marty Britton and introducing Amanda Perkins. Cavemen, dinosaurs and movie stars! MOD DVD Media.